A new project I'm excited about: Ms.Fit Magazine! I love writing about the things that matter most to me, whether that be writing fiction about female musicians or teenagers struggling with depression, self-injury and addiction, or writing nonfiction about my own experiences with self-injury, grief, addiction, abuse and bullying. Over the past year, writing for Rookie has literally changed my life and my perspective on writing. I've struggled with the ups and downs (okay, mainly the downs) of my fiction career, but my regular contributions of personal essays and goofy things like my glowing review of my DVR have kept me balanced and happy as a writer. Ms.Fit mag will be an unapologetically feminist, queer-friendly, body-positive web 'zine about health, fitness, and wellness, existing in a world where real women (a.k.a less than perfect) and LGBTQ folks often feel erased by mainstream health and fitness culture. We want all women and their queer allies to feel healthy, strong, and good about themselves and to live long lives of action and empowerment. And we want to have a blast doing it. Because Ms.Fit thinks that one of the most important political statement we can make is to be strong, healthy, and happy in all of our fierce, beautiful manifestations. Ms. Fit is being put together by a team of women from various backgrounds and life and fitness experiences. In addition to their shared commitment to health, fitness, and wellness through a real-life lens, Ms.Fits editorial team and contributors are comprised of professional writers and editors, fitness trainers, parents, experts, amateurs, who are all committed to empowering women and community building around wellness, health, and social responsibility. In other words, this is the perfect health, body and fitness mag for women like me and I want more than anything to see it succeed. You can stay up to date on Ms.Fit's development on their provisional blog, http://msfitmag.com/ (the finished mag will be fuller and prettier) and following them on Twitter. To get the magazine launched in January, Ms.Fit has an Indie-a-Go-Go campaign running. I've already contributed and I hope that if a feminist, queer-friendly pub like this interests you (and you want to read my reflections on health, food, and fitness! ), you will contribute as well! A Vlog! An Excerpt! A Contest!--Celebrating the Release of DEAR TEEN ME! 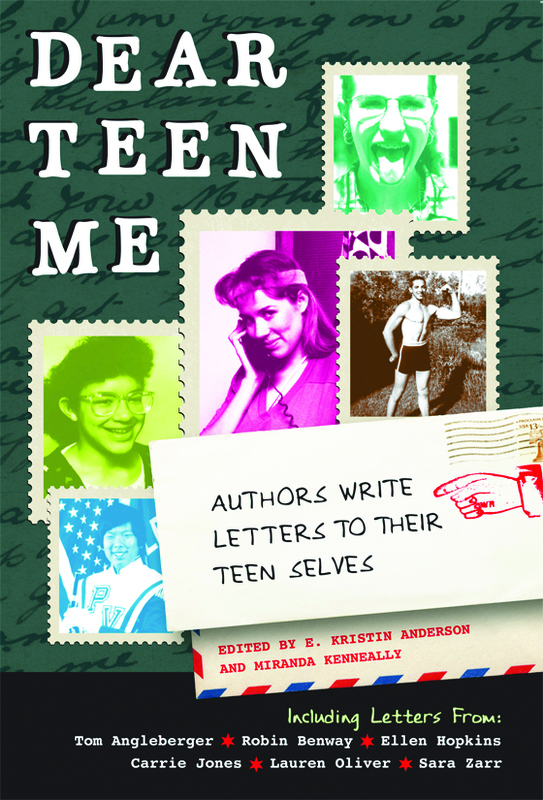 This Tuesday marked the release of DEAR TEEN ME: Authors Write Letters to Their Teen Selves, an anthology edited by E. Kristin Anderson and Miranda Kenneally. It was born from this website, which I wrote a letter for back in 2011. I was honored when I was asked to write a new letter for the anthology, which includes a bunch of extremely cool, interesting, and talented YA authors, who have had a variety of teenage experiences. 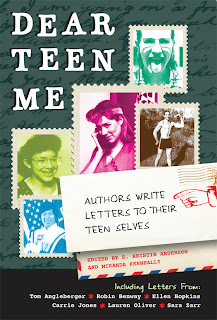 Dear Teen Me includes advice from over 70 YA authors (including Lauren Oliver, Ellen Hopkins, and Nancy Holder, to name a few) to their teenage selves. 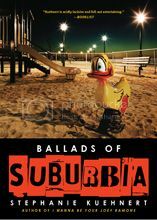 The letters cover a wide range of topics, including physical abuse, body issues, bullying, friendship, love, and enough insecurities to fill an auditorium. So pick a page, and find out which of your favorite authors had a really bad first kiss? Who found true love at 18? Who wishes he’d had more fun in high school instead of studying so hard? Some authors write diary entries, some write letters, and a few graphic novelists turn their stories into visual art. 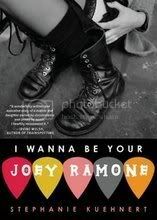 And whether you hang out with the theater kids, the band geeks, the bad boys, the loners, the class presidents, the delinquents, the jocks, or the nerds, you’ll find friends--and a lot of familiar faces--in the course of Dear Teen Me. To celebrating the release, I put together a vlog--now, mind you, "put together" is a very loose term. Basically I used to crappy webcam and the Windows Movie Maker software on my computer, so please don't judge me too harshly. In it I talk briefly about why I participated in this project/why I write for teens in general and I share a short excerpt from my letter. It's not a party without presents!!! So I'm going to giveaway a copy of DEAR TEEN ME to one lucky winner. It will be signed by 4 to 5 Dear Teen Me contributors and come with bookmarks and postcards! To enter all you have to do is leave a comment with your email address (so I can contact you if you win). +1 for every time you tweet or share something on facebook about Dear Teen Me, could be my video, a link to this blog entry, a link to one of the other blogs on the Dear Teen Me blog tour, could just be your own thoughts on how awesome Dear Teen Me is. Note your extra entries in your comment and enter as many times as you want before Friday, November 9th when I will be drawing my winner. This contest IS open internationally!